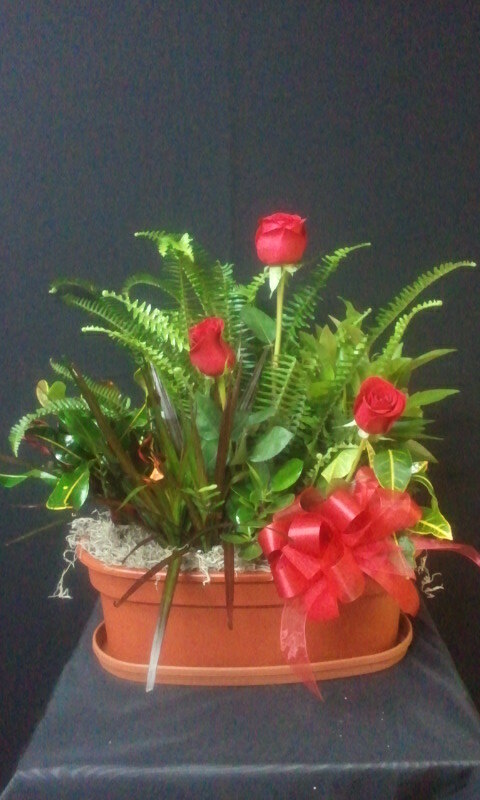 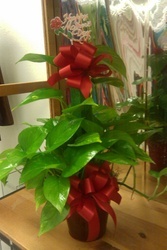 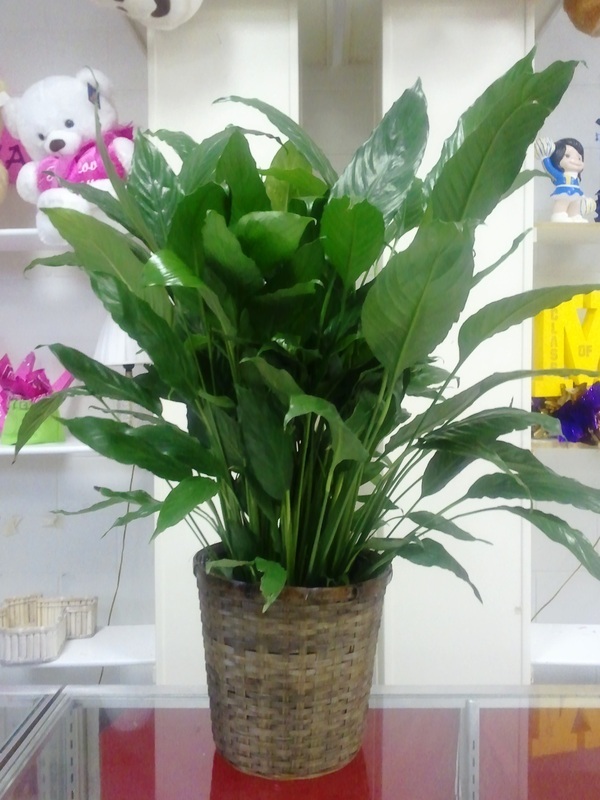 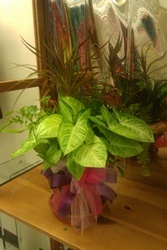 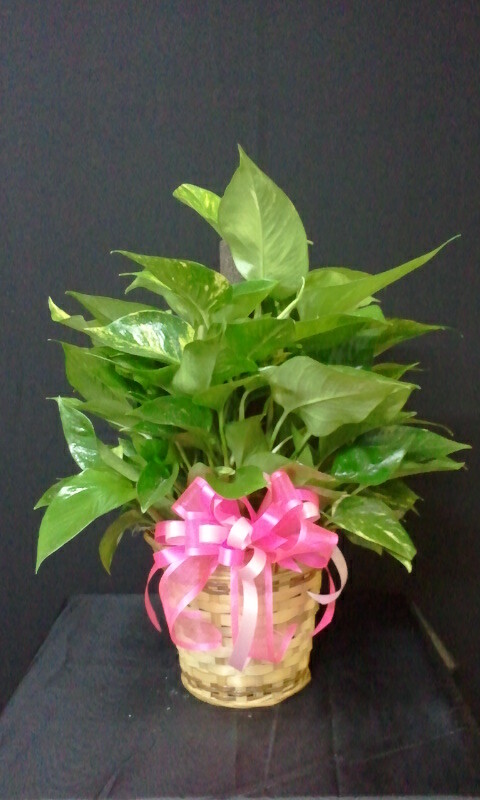 Green plants starting at $35.00. 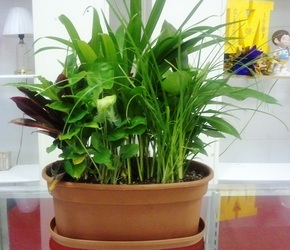 Fresh cut flowers can be added to our plants to add a little bit of color. 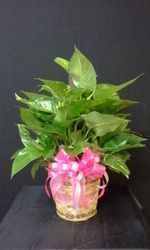 All plants come in either a hard plastic terra cotta colored container or a wicker basket with moss and a bow.